When he was around five or six, Sean Bergenheim told his tennis coach he was going to play in the NHL someday. 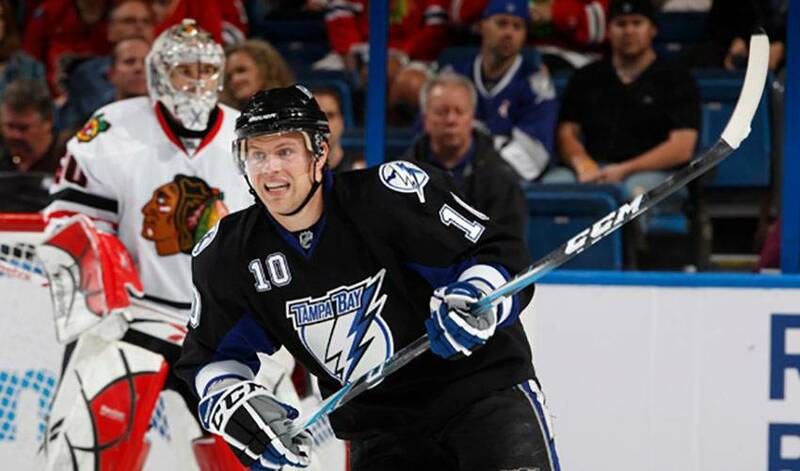 You can count his Tampa Bay Lightning teammates among many who are glad he kept his word. Growing up in hockey-wild Helsinki, Finland, Bergenheim, who has had a breakout post-season in 2010-11, also dabbled in other sports, including countless hours spent on the tennis court. And while he is no slouch when it comes to overhand smashes and forehand volleys, the Tampa Bay forward, who has seven goals and one assist after the first two rounds of the Eastern Conference Playoffs, is certainly happy he chose a stick over a racquet. During his younger days in Finland, Bergenheim knew of the NHL, but he had somewhat limited exposure to it. Still, whenever he had the chance to see the game on television, he was hooked. Taken by the New York Islanders as their first pick in the 2002 NHL Entry Draft, 22nd overall, Bergenheim signed a three-year deal with the team in 2003, and played 18 games for the Islanders in his debut season, 2003–04. He scored his first NHL goal - a short-handed tally - against the Pittsburgh Penguins. Bergenheim was transferred back to Jokerit in January 2004, and moved back to the Islanders AHL team, the Bridgeport Sound Tigers in April for the American Hockey League (AHL) playoffs and the subsequent lockout season. Bergenheim spent a majority of the 2005–06 campaign playing for Bridgeport and showcased his strong play. His breakout in the AHL finally brought him back to the Islanders, but he was unable to agree on a new contract with the team in the 2006 off-season, and subsequently signed with Lokomotiv Yaroslavl in the Russian Superleague (RSL). On October 31, 2006, Bergenheim signed a one-year contract with Frölunda HC of the Swedish Elitserien, where he teamed with Steve Kariya and Martin Plüss to form an effective trio. Less than a year later, Bergenheim was back in North America, inking a one-year contract with the Islanders. The following year, he recorded seven points in the first 16 games before he was sidelined by injury and missed 26 games. Returning in the second half of the season, Bergenheim posted his first multi-goal game with two goals to help the Islanders shutout the Buffalo Sabres 2-0 on February 28, 2009. Less than a month later, he netted his first NHL hat trick. After the 2009–10 season, Bergenheim signed as a free agent with Tampa Bay on August 17, 2010. For his part, Bergenheim is leading by numbers. And while his goal total is far more than his assist count, Tampa's playoff titan is taking it all in stride. Teasing aside, there's no doubt his Lightning teammates would love to see Bergenheim carry his strong form into the East final, as they look to take one more step towards winning a Stanley Cup. There are times, Bergenheim admits, when he marvels at being in the position the Lightning find themselves in. It would be even better if Bergenheim and his teammates celebrate a championship together. Happy, too, that he stuck to a game plan he mapped out years ago.